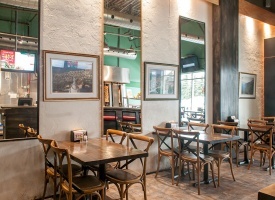 Pita Nutso welcomes you and your family to experience the true authentic flavour of Middle Eastern cuisine. 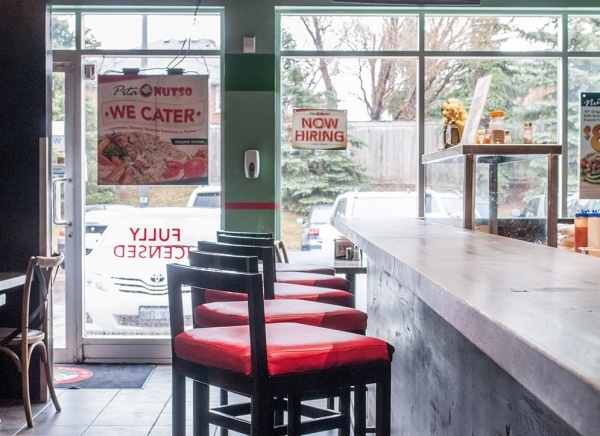 Pita Nutso is a concept that "has something for everyone!" 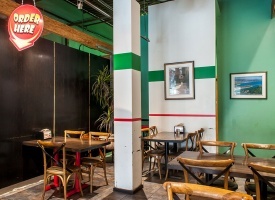 A "Quick Service Quality Cuisine" concept that caters to a variety of clientele. 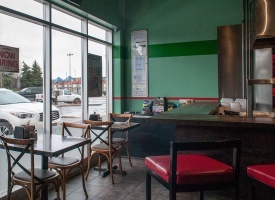 Pita Nutso's menu offers an array of flavourful dishes. A few of the unique dishes we carry are called "On The Rocks", "On Ice" and "The Works". These dishes can be made with different types of meat and the most popular one is our "World Class Shawarma" which is our proprietary marinated chicken. Our special combination of herbs and spices we use in the marinade make our product stand out from our competitors. The method of cooking is crucial to our product since the meat is cooked using a special Middle Eastern vertical barbecue grill. The meat is cooked on a vertical skewer so that any fat on the chicken drips down off into the drip pan. The chicken cooks slowly as it rotates in a circular motion to ensure an even and consistent finished product. 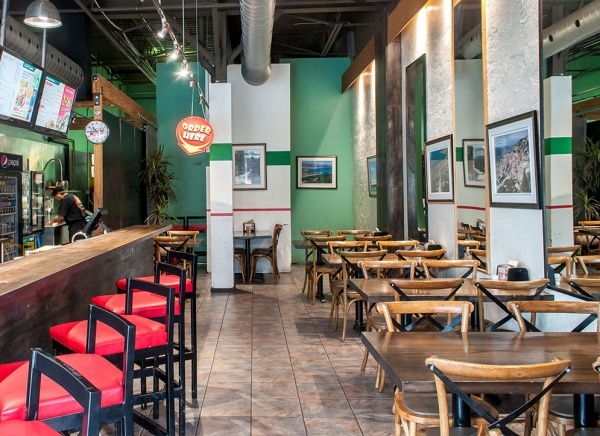 Why try a shawarma from Pita Nutso? 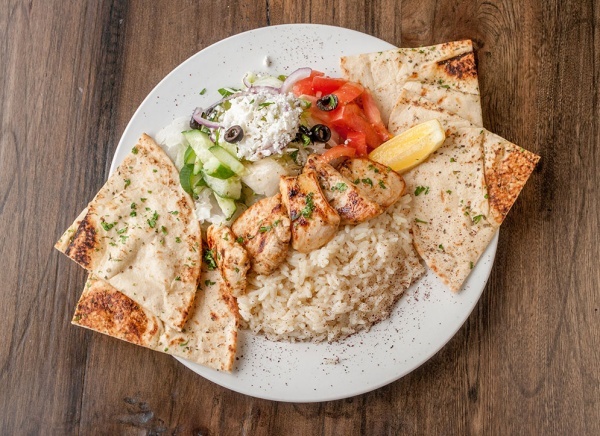 Pita Nutso is a nutritious alternative to fast food! 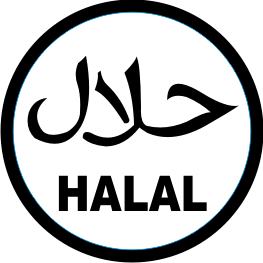 "We use only 100% Halal meat to ensure the highest quality possible along with our Grade"A" fresh vegetables"
Our Chicken, Beef and Lamb can be served in our flamed grilled pita or as an entrée with rice, salad or hummus and topped with our most famous regular garlic or spicy hot sauce. Our Executive Master Chef, Elias Matar, has put together the tastiest recipes for our "World Class Shawarma", proprietary sauces and spreads. Come visit any one of our locations and taste the true difference Pita Nutso offers! And best of all, No Mystery Meat for You! Shawarma (Arabic‎), is a Middle Eastern sandwich-like wrap of shaved lamb, goat, chicken, turkey, beef, or a mixture thereof. The meat is placed on a spit, and may be grilled for as long as a day. Shawarma is a fast-food staple across the Middle East, Europe, the Caucasus, and North Africa. Shawarma is eaten with pita bread, Lavash bread, tabouli salad, fattoush salad, taboon bread, tomato and cucumber. Toppings include tahini, hummus, pickled turnips and amba. Shawarma is shared by many country variations. In Greece, it is called gyros, meaning "turned". In Armenian, it is "Tarna", literally meaning "to turn", and in Turkish it is called döner kebab, which in turn means "turning kebab". 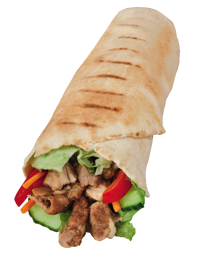 The word shawarma comes from the Turkish word çevirme, meaning turning. Shawarma is made by placing strips of beef, lamb or marinated chicken on a stick; an onion or tomato is placed at the top of the stack forflavouring. The meat is roasted slowly on all sides as the spit rotates in front of, or over, a flame for hours. Traditionally a wood fire was used; currently, a gas flame is common. 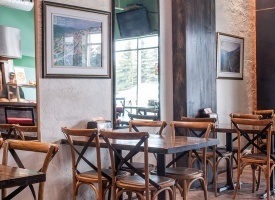 While specialty restaurants might offer two or more meat selections, some establishments have just one skewer. After cooking, the meat is shaved off the stack with a large knife, an electric knife or a small circular saw, dropping to a circular tray below to be retrieved. Shawarma is eaten as a fast food, made up into a sandwich wrap with pita bread or rolled up in an Armenian Lavash flatbread together with vegetables and dressing. Vegetables found in shawarma include cucumber, onion, tomato, lettuce, eggplant, parsley, pickled turnips, pickled gherkins, cabbage, and in some countries, such as Romania, Bulgaria, Jordan, Israel, or the Arab states of the Persian Gulf, french fries. Dressings include: tahini (or tahina), Amba sauce (pickled mango with Chilbeh), hummus, orflavoured with vinegar and spices such as cardamom, cinnamon, and nutmeg. Chicken shawarma is served with garlic mayonnaise, toum (garlic sauce), pomegranate concentrate, or skhug (a hot chili sauce). Once the shawarma is made, it might be dipped in the fat dripping from the skewer and then briefly seared against the flame. In Israel, Syria and Lebanon, chicken shawarma is toasted after being made, whereas those made of lamb or beef are immediately eaten. Beef can be used for shawarma instead of lamb, and turkey is used instead of chicken. In Saudi Arabia, goat is as common as beef or lamb. Less common alternatives include fish and sausage. 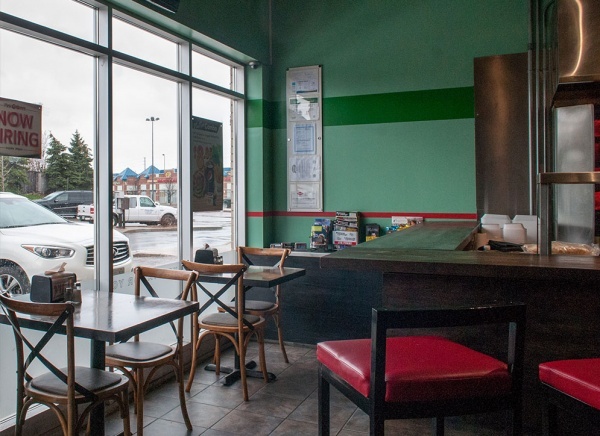 Some shawarma stores use hot dog buns or baguettes, but most have pita and lavash. Sometimes, beef shawarma—despite its name—contains some lamb in addition to the beef, to ensure juiciness. Select a location to see where we are located! Select a location to see a virtual tour! Pita Nutso can cater all types of events ranging from business functions, parties, luncheons as well as fine dining affairs. Whether you need to feed 10 or 200, your next event is sure to be a success when catered by PITA NUTSO. 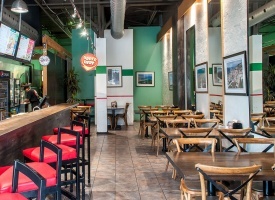 Enjoy our unique world class cuisine served hot and fresh. Let PITA NUTSO cater your next big event. The whole menu is available for catering. To place an order call in order by contacting the location nearest you.